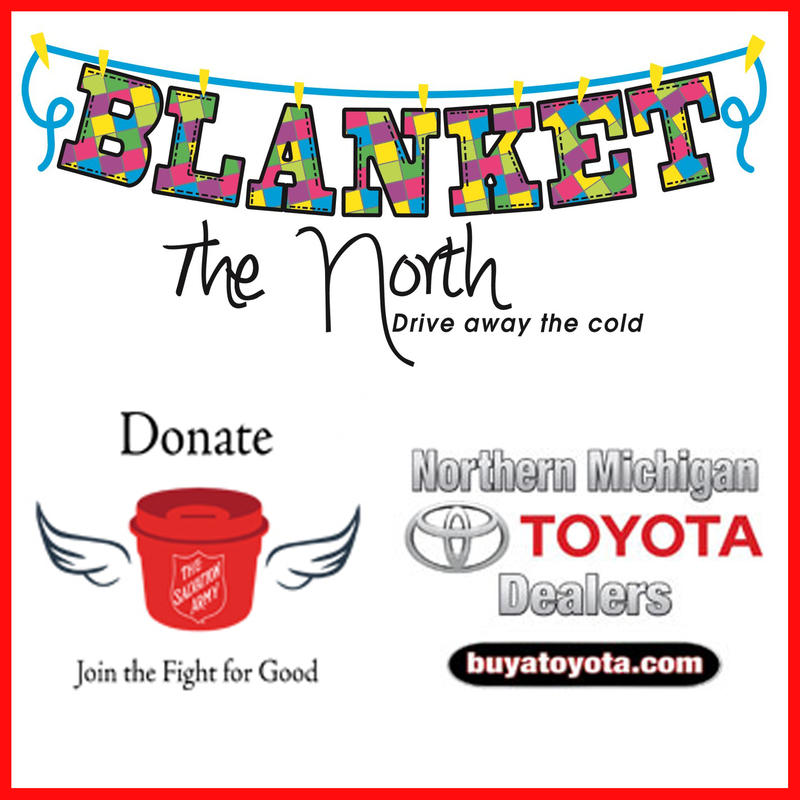 In partnership with Northern Michigan Toyota Dealers, and to benefit local Salvation Army sites... We are collecting new blankets, pillows, sheets and towels to bring comfort to those in need. Help us fill the bed of a Toyota Tundra pickup at these locations: Fernelious Toyota in Cheboygan, Serra Toyota in Traverse City and Fox Motors in Cadillac. Drop your donation by December 1, 2018. Register for a chance to win a $100 Gas Card while your there. Your generoisty is appreciated when you help to Blanket the North!